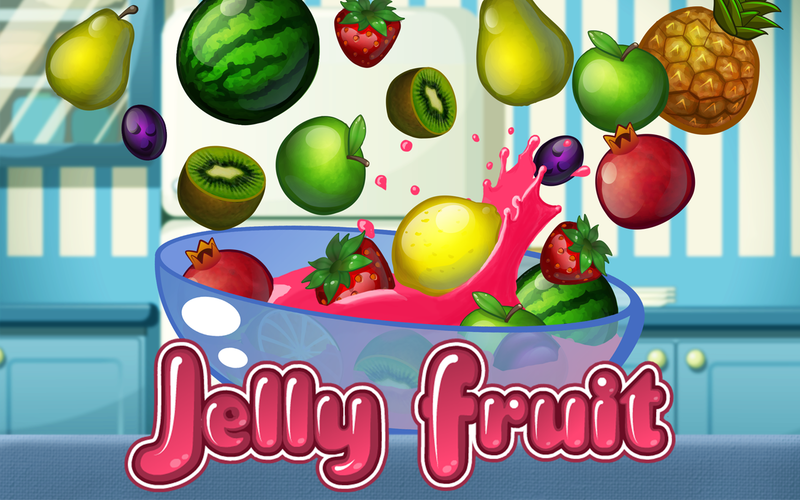 Jelly Fruit is UNIQUE arcade game, where you are making fruit jelly. Catch juicy fruits and powerups while avoiding nasty bugs. - UNIQUE GAMEPLAY!- Amazing HD-graphics!- Various game mechanics, such as wind or freezing!- 3 gameplay modes!- 48 delicious jelly recipes!- Upgrade shop full of cool stuff!- Tons of juicy fruits and limitless fun! Create and break records, compete with your friends, become ultimate jelly master! CONTROLS:Press & hold anywhere on the screen to make jelly liquid and catch fruits and powerups. Lift your finger to make jelly solid and avoid bugs. To promote Jelly Fruit and grow its popularity (top games), use the embed code provided on your homepage, blog, forums and elsewhere you desire. Or try our widget.